The Food Dignity project was a five-year (2011–2016, plus a two-year extension), US$5 million collaborative action research project funded by the U.S. Department of Agriculture’s Agriculture and Food Research Initiative, that brought together individuals from four universities and five commu­nity organizations. The project goal was to learn from and with these community organizations working to strengthen local food systems and build food justice in their communities. As part of the action research, the partnering community organizations each received US$30,000 to be distributed in their communities in the form of minigrants. The evaluation literature on minigrant programs has highlighted their potential for foster­ing community engagement and supporting ideas brought forward by community members with lived experience of the issue being addressed. In these minigrant programs, the outside funder or distributing agency had largely or entirely deter­mined their structure. In the Food Dignity project, however, the community organizations each designed their own program, led by their commu­nity organizers. The diversity of the community organizations and the flexibility and autonomy they exercised in designing their mini­grant programs offers an opportunity to explore a novel question: When community organizers design minigrant programs, what do they choose to build, and why? 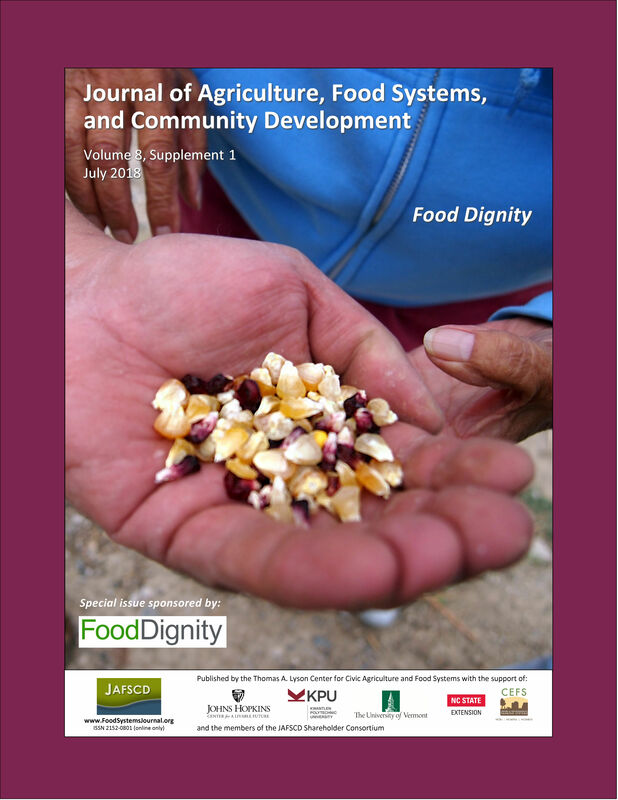 The analysis in this essay uses an evolu­tionary evaluation approach to study the Food Dignity-funded minigrant program designs and outcomes, with a view to identifying lessons for future mini­grant programs. The paper reports on minigrant program design features, factors shaping program design choices, minigrants awarded by each com­munity organization, and outcomes attributed to the minigrant programs by partici­pants. The princi­pal findings are that program designs differed and that the patterns of difference are consistent with organizational priorities and systemic issues affect­ing community members. The innovation and variation in minigrant program designs and funded projects are instructive for anyone considering future minigrant programs. An unanticipated find­ing is that several of the community organizers utilized the design and management of minigrant programs to achieve goals outside of the minigrant funding process. That is, community organizers recognized the program design itself as a way to advance community development goals separately from the support for minigrant projects, and they deliberately selected program features to serve organizational goals. This has implications for community organizers, highlighting internally designed minigrant programs as a promising addi­tion to their strategies. This also has implications for outside funders committed to supporting community-driven change. Given that minigrant programs are often valued as a way to support community-driven solutions to local problems, the results here suggest that minigrant programs can have dual channels of impact, if community organ­izations design the minigrant programs themselves rather than having features specified externally.